Myth Roast: Did We Land On The Moon? This is likely one of the greatest and most argued conspiracies of all time. The problem now is that there is so much information readily available from both sides of the debate and it's difficult to distinguish the truth from the fiction. Both sides present such compelling 'evidence' to support their arguments that you may possibly find it tiresome and end up just picking a side and going with it - and I fear that this has happened in many cases. In this article, I will look into the observable evidence available to us. Before I start, we need to be clear on what observable evidence is. A common misinterpretation of observable evidence is the need to see an event take place. For example, evolution deniers will say we have no observable evidence in support of the theory of evolution because we weren't there millions of years ago to see it take place. This is a false equivication. Evidence for a past event is not the event itself but the clues left behind. We do have an overwhelming amount of observable evidence for the theory of evolution, such as the fossil record, geological record, molecular biology, etc. If my house was burgled last night while I was out, the observable evidence available would be fingerprints, DNA, security footage and any other telling signs that may be found, like a dropped driver's license (wouldn't that be hilarious!). When the first Apollo mission lauched in 1969, there were plenty of spectators there witnessing the event, but eyewitness accounts are the most unreliable sources of evidence. Nevermind, because we have visual footage of this happening. 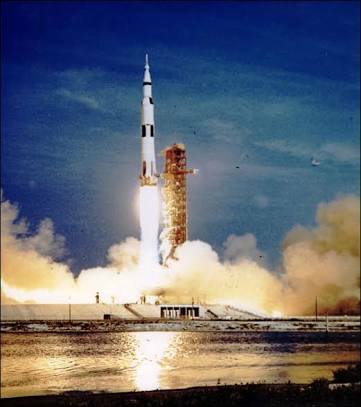 There is no doubt that a rocket was launched, but what if it was just for show and never actually landed on the moon? Good question. We have footage of the lunar modual descending onto the lunar surface. But what if it was fake footage made in a studio in the Nevada desert? Good question. They did not have the technology to create a continuous film at that length. For a video offering a more in depth explanation of the technology that would be required to pull off such a hoax, click here. One of the purposes of landing on the moon was to set up a retroreflector. This is a reflector that will reflect light back to its source from a wide range of angles with minimum scattering of light. In other words, you can point a laser at it and the laser will reflect right back to you. 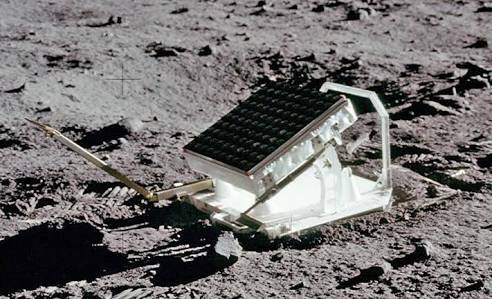 There are a number of retroreflectors on the lunar surface now and scientists use them to experiment with light, such as accurately measuring its speed. While the astronaughts were moonwalking, they spent a great deal of their time collecting samples of lunar soil and rock and lots of it. But how do we know they came from the moon and not some desert here on earth? Good question. The composition of space rock is quite different to rock you find here on Earth. How do we know they aren't meteorites? Good question. These rocks show no signs of reaching extreme temperatures caused by air friction when entering the Earth's atmosphere. Yep. If you can't accept the observable evidence available to you, then go back to the scene of the crime. 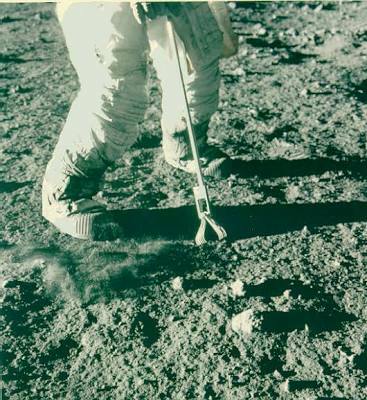 There are many items left on the moon after the lunar missions, such as the lunar rover, flags, trash, retroreflectors as we mentioned earlier, golf club, golf ball, hammer, feather and many other items that the Apollo crews needed to discard to keep the lunar module as light as possible. Here is a video comparing original landing footage with recent flyby footage of the landing site. On a humourous note, take a look at this brilliant performance by Mitchell and Webb on faking a moon landing. Which Heater is More Efficient? Can Personal Experience Be 100% Accurate? Is God the Objective Source of Morality?